1. You never quite realize how much your life depends on the Internet until comcast tells you it will take three weeks to send a technician to you. 2. 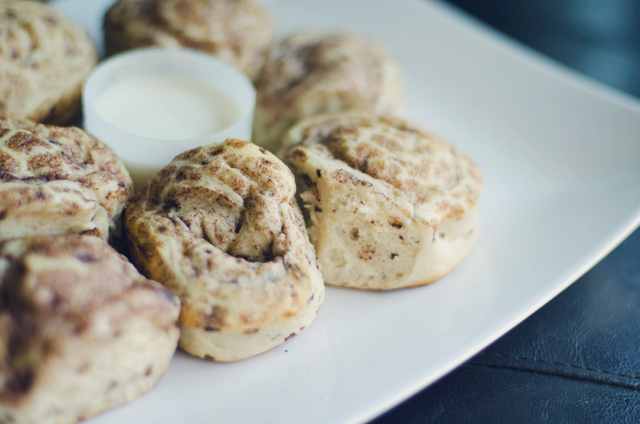 It's not really "home" until you make cinnamon rolls one morning. 3. Unpacking is just plain torture. I can't wait to be all settled into my new place!! ooh man cinnamon rolls. That is all. Oh btw, I would like to invite you to this new Bloggers Against Social Injustice network where fashion bloggers come together to make this world a better place. I moved at the beginning of August and even though I have everything unpacked, we still have TONS of organizing to do. Good luck with your unpacking! The cinnamon rolls looks yummy! You have a nice blog!